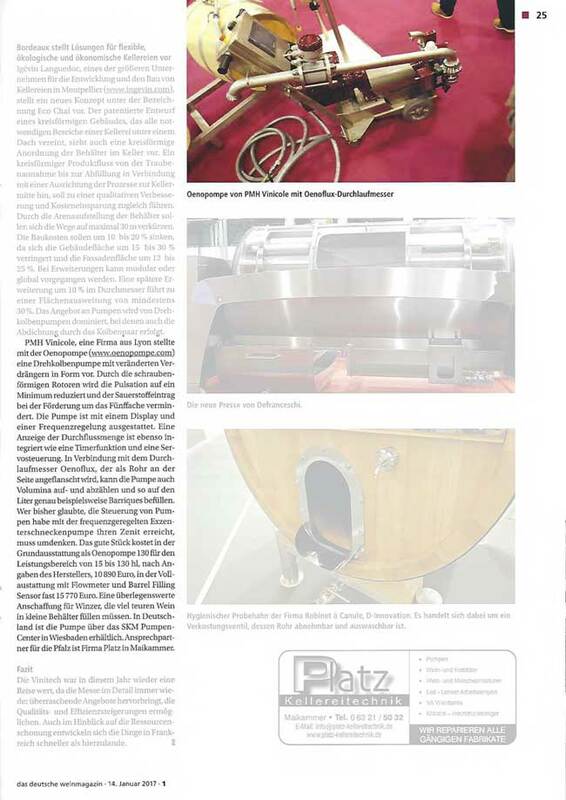 An interesting and documented article appeared in Das Deutsche Weinmagazine in January 2017. 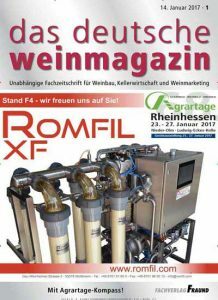 This is a follow-up to the Vinitech-Sifel trade fair in December 2016. The correspondent Bernd Weik, from the DLR Rheinpfalz in Neustadt, reports on 4 pages of different remarkable concepts and techniques as useful as modern for the wine industry. Discover these companies that have been noticed. One finds there the wine pump with helicoidal lobes OENOPOMPE of PMH Vinicole. OENOPOMPE pumps are distributed in Germany by our exclusive distributor www.pumpen-center.de in Westbaden.